METAIRIE, La. — Jabari Greer remembers the first time he sat down with Wesley McGriff and he remembers that even in the coach’s office, he had to be on top of his game. It stands to reason then that McGriff, hired this offseason to coach New Orleans’ secondary, won’t let the players relax on the field. For a unit that finished 31st in passing yards given up per game and 32nd in passing yards per play in 2012, that’s not a bad thing. And to think, McGriff nearly didn’t end up with the Saints. 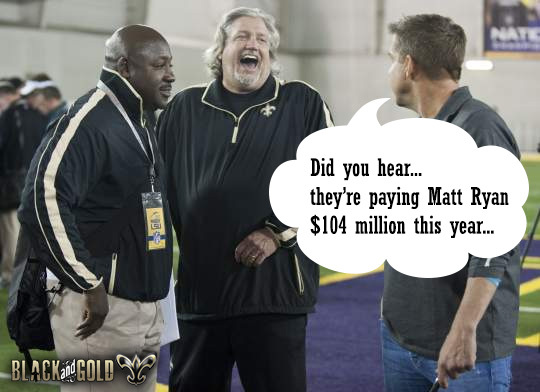 One of the first moves coach Sean Payton made upon being reinstated into the NFL was letting go of defensive coordinator Steve Spagnuolo. He hired Rob Ryan, who was fired from Dallas, and went looking for a secondary coach. McGriff wasn’t on Payton’s initial list but a call from Micheal Barrow, a coach at the University of Miami, changed that. The Saints flew him up to the NFL combine for an interview and the rest, as is the saying, is history. That passion and confidence comes from experience for McGriff. It is good to know that we are getting quality replacements for the coaches that we have lost. No NFL experience is a little bothersome. Did he play college ball? Was he ever in the pros? Ditto ... I've heard Dek and Bobby H give him some props on his coaching track record (Kentucky, Ole Miss) in college though. Played (LB) at Savannah St but no pro ball to my knowledge. Then again Vic Fangio didn't have much NFL experience before he took over the Dome Patrol of the 80's. Danno, joker-saint, papz and 8 others like this. Halo and AllSaints like this. Each of us have never had NFL experience, yet we are able to see the problems in coverage. Perhaps he is exactly what they say he is and is a quick study of the game? I do know one thing though, if he is just half as passionate as the saints fans are and has a decent coaching history we should see massive improvement in the secondary. I for one cant wait until the dome patrol is resurrected. Hopefully its before Brees and Payton retire.